Thought you were through reading recaps of 2010? You were wrong! 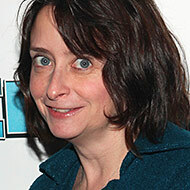 Vulture’s got one more for you, and it’s as graceful and inimitable as Larry Bird’s jump shot: We asked Rachel Dratch — a native Masshole who hilariously skewered her fellow kind for years, as Denise “Zazu” McDonough, on Saturday Night Live — to weigh in on what was a remarkably active year for the Boston accent in pop culture. From Julianne Moore to The Town to foul-mouthed Mad Men parodies, Dratch uses them to explain the nuances of what makes a prawpah Bostonian.